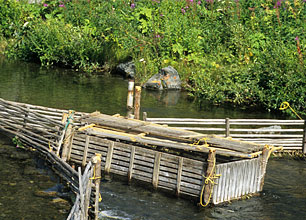 Are you looking to apply your skills and make a real difference to Salmon management in Yukon? Then this opportunity is for you! Under the direction of and reporting to the Chair of the Yukon Salmon Sub-Committee, the Executive Director supports the YSSC in carrying out its mandate prescribed in Chapter 16 of the Yukon First Nation Final Agreements, and by providing financial stewardship, strategic planning and project management. The Executive Director assists in short-term and long-term strategic planning to assist the YSSC in achieving defined goals, objectives, and project completion. The Executive Director is also responsible for effectively liaising with officials of Yukon First Nations, Fisheries and Oceans Canada (DFO), Government of Yukon, stakeholder groups and the general public. Successful completion of a degree in Public or Business Administration or Resource Management with substantive experience working in the resource management and public sectors or equivalent education and experience. Deadline: Resumes received by 5:00 pm on September 24, 2018 will be reviewed.